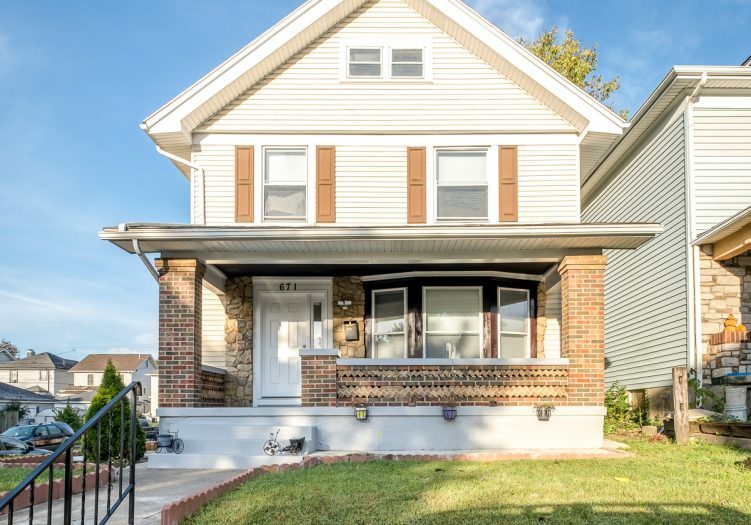 Home » Listings » Super Clean Dayton Home! Mrs. CLEAN lives here! You’ll love this UPDATED HOME which has been lovingly MAINTAINED and IMPROVED by current owners! Step inside from the charming FRONT PORCH and into the living area with easy-care LAMINATE FLOORING. An ARCHED DOORWAY leads to a dining room perfect for family meals! For the cook, the kitchen offers oak cabinetry and black appliances. A new HALF BATH near the kitchen is super convenient! Upstairs, you’ll find three bedrooms, also with laminate floors, and a full bath with JETTED TUB and TILE FLOORS. Unfinished BASEMENT and ATTIC spaces provide room for expansion. Outside, a nice DECK, fenced yard, and 1-CAR GARAGE seal the deal! Updates include: water heater (2018), door/windows (2014), and appliances (2014).